What do Shakespeare and Loki have in common? Tom Hiddleston! Tom Hiddleston may have exploded into public consciousness as the villainous Loki in the Thor movie, but he has been a working theatre and television actor for years before his role in this blockbuster movie. 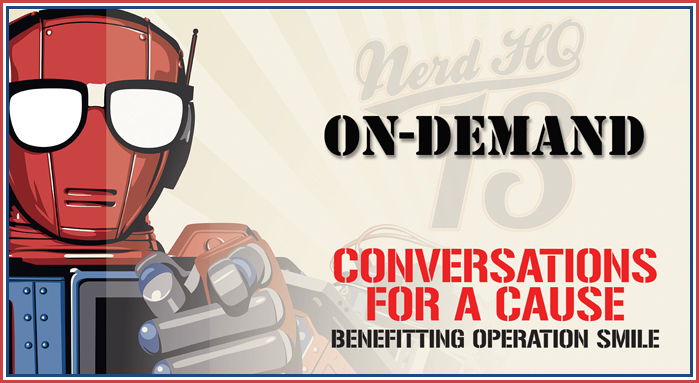 Want to check out what he had to say when he came to San Diego and visited Nerd HQ and Zachary Levi? Pull up a chair, get some tea and see what he has to say! In this he says there is a quote that he really likes which says (In French and English) “We all have 2 lives. The second begins when you realize you only have one. – so don’t waste any time.” So click on that link already! Next Post Broadway on TV: Matilda the Musical this Friday 7/26!